Jay Critchley formed the Nuclear Recycling Consultants (NRC) in 1983—the early part of a decade remembered for its détente with the Soviet Union in the form of a nuclear proliferation treaty. In response to the unleashing of the atom and the fantasy of nuclear energy “too cheap to meter,” the NRC was formed to recycle and repurpose abandoned facilities of the nuclear fuel cycle. 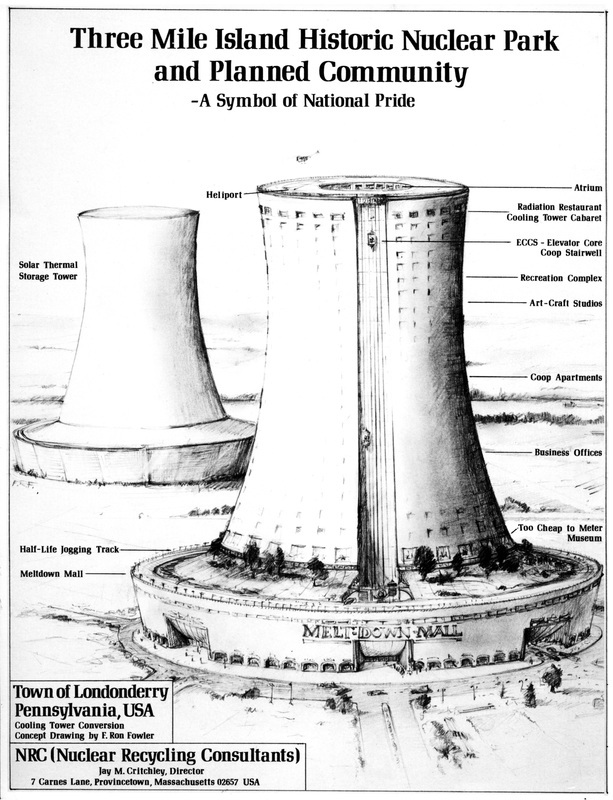 Critchley created alternative proposals and legislative initiatives for a number of nuclear power plants, including: Three Mile Island Historic Nuclear Park & Planned Community, the Seabrook National Nuclear Monument & Energy Research Institute, and the Nuclear Resort Community at Seabrook. He proposed luxury seaside radiation cottages with louver lead window treatments, a Meltdown Mall, a BTU Bar, and a Half Life Jogging Track. 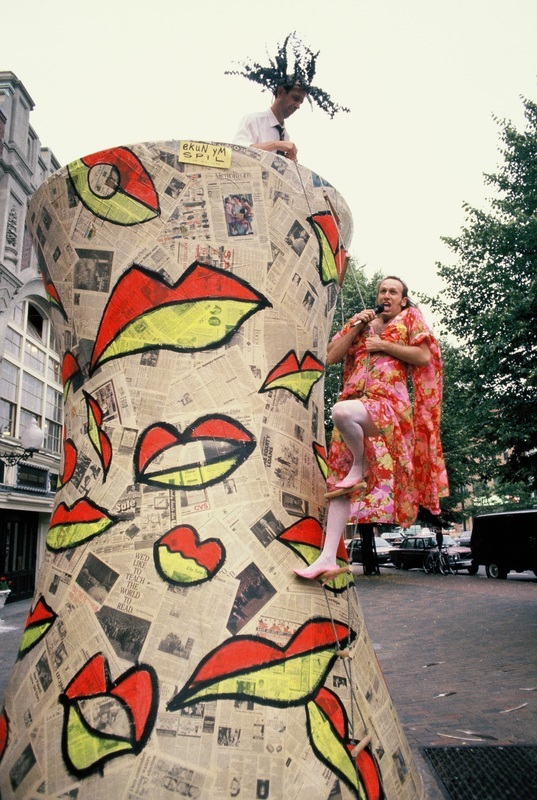 Yet Critchley’s architectural proposals existed beyond the boardroom. He advertised them on billboards in Boston and New Hampshire, and sponsored anti-nuclear and alternative energy legislation in Boston. 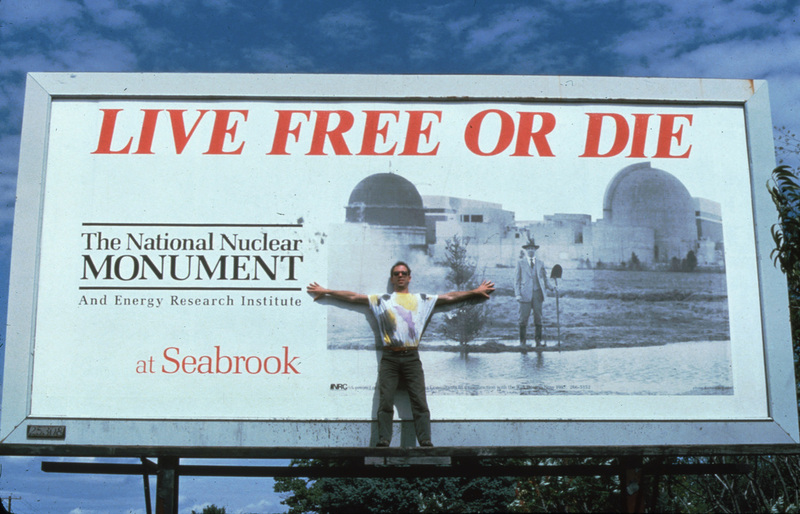 Additional NRC public proposals include: Atomic Pulpit at Boston Center for the Arts; the Future Earth Corporation installation at Boston City Hall; a seismic radiation center at California’s Diablo Canyon; the Stop Pilgrim Nuclear Power Plant campaign; the Whale & Human Evacuation Canal on Cape Cod; and the Nuclear Heritage Trail. 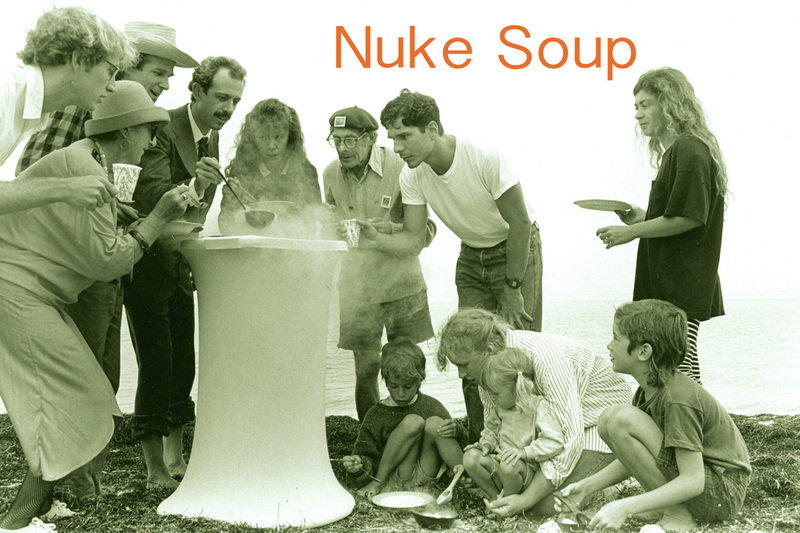 At Penn State, he built a twelve-foot nuclear cooling tower from bales of hay and burned it in a ritual ceremony.